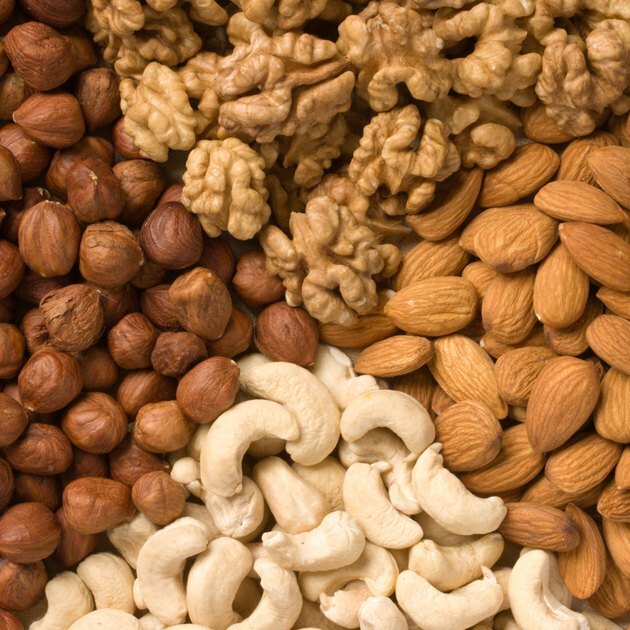 Although magnesium is found in a variety of different foods, many Americans may not be getting enough of it in their diet, according to the University of Maryland Medical Center. Every organ in your body needs magnesium to function properly, and the mineral plays an essential role in energy production. While there are some indicators that magnesium may be helpful to those trying to lose weight, research is limited. Consult your doctor about a healthy diet to help you lose weight. Magnesium is found in whole grains, nuts, beans and leafy greens. In addition to its contributions to energy production, magnesium is also necessary for activating enzymes, regulating calcium levels and helping keep your teeth and bones healthy and strong. Your daily magnesium needs vary depending on age and gender. Men need 400 to 420 milligrams of magnesium a day, and women need 310 to 320 milligrams a day. Insulin is a hormone that helps regulate blood sugar. Some people have high levels of insulin in their blood because their bodies are not using it effectively; this is referred to as insulin resistance, which in turn leads to higher blood sugar levels. Excess body weight is often associated with these conditions. A 2013 study published in "The Journal of Nutrition" found an association between high intakes of magnesium and an improvement in circulating insulin and blood glucose levels. While magnesium may help improve insulin and blood sugar levels, supplementation alone may not promote weight loss. Magnesium may not help you lose excess fat, but it may help prevent the weight gain and bloating associated with premenstrual syndrome. A 2013 study published in the "Journal of Caring Sciences" found that women who supplemented with 250 milligrams of magnesium had less swelling and bloating compared to those who supplemented with vitamin B-6 or a placebo. While magnesium is an essential nutrient, supplementing your diet with the mineral alone may not be the most effective way to help you lose weight. To lose weight, you need to eat fewer calories than your body burns. Magnesium is found in a number of foods that make a healthy addition to any weight-loss diet, including spinach, beans, whole-wheat bread and salmon. Eating a diet that is calorie-controlled and filled with nutrient-rich foods like these can help improve health and promote weight loss.